Published 10/13/2017 Speculation on whether the Halloween event will contain gen. 3 Pokemon is increasing after CEO's last interview. Niantic CEO John Hanke recently told Taiwanese magazine Business Weekly the following "So I think the next secret weapon will be launch of the next Pokemon generation. I hope the players will sooon see them." Some speculate that the additional O's in soon hint at the Halloween event being when gen three drops but, the added O's could have just been a translation error from the original Taiwanese article. Personally I think that the Halloween event may introduce a few ghost and dark type Pokemon I am not sure if we will get a full gen. 3 release this soon. ​Gen. 3 ghosts and dark Pokemon confirmed for this years Halloween event from 10/20-11/2 2017. These current drop rates are from 23,700 recorded pokestop spins. These rates might have changed as of February 2017, drop rate percentages may have been reworked. I will continue to update this website as new information comes out about drop rate percentage. The type advantage chart shows how different kinds of Pokemon can deal normal, double, or half damage. For example, if you are attacking, you want to look at the red attacker area on the left side of the chart and find Water. You can see a green 2 indicating that you do double damage to Fire types. Next to the 2, you will see two red 1/2 under Water and Grass meaning you do half damage to those types. Any type with an empty white square indicates you do neutral damage to that Pokemon. Now if you look at Ground on the attacker side and go to Flying on the defending side, you will see a black 0. This means you do no damage to that type of Pokemon in the main series game. In Go, this would just do far less than normal damage. 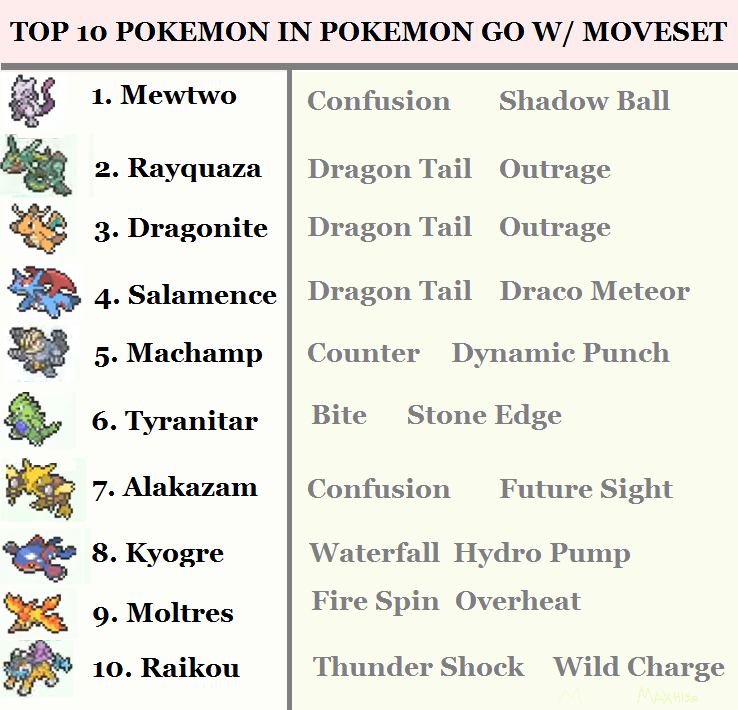 If you want to use this chart to see what Pokemon would be best to use on a specific type of Pokemon, just go to the defending type and look for a Pokemons type that does double damage while only taking half damage. For example, using a Grass type against a Water type would be super effective, but using a Water type against a Grass type will be not very effective. Pokemon IV or Individual Values are hidden states that let you know more about the potential growth of a pokemon. The higher a Pokemon's IVs are the higher that Pokemon's max CP. For example a Vaporeon with perfect IVs at level 40 would have a CP of 3157. If however that same Vaporian all powered up but with low IVs 0%-10% it max CCP would be around 2245. 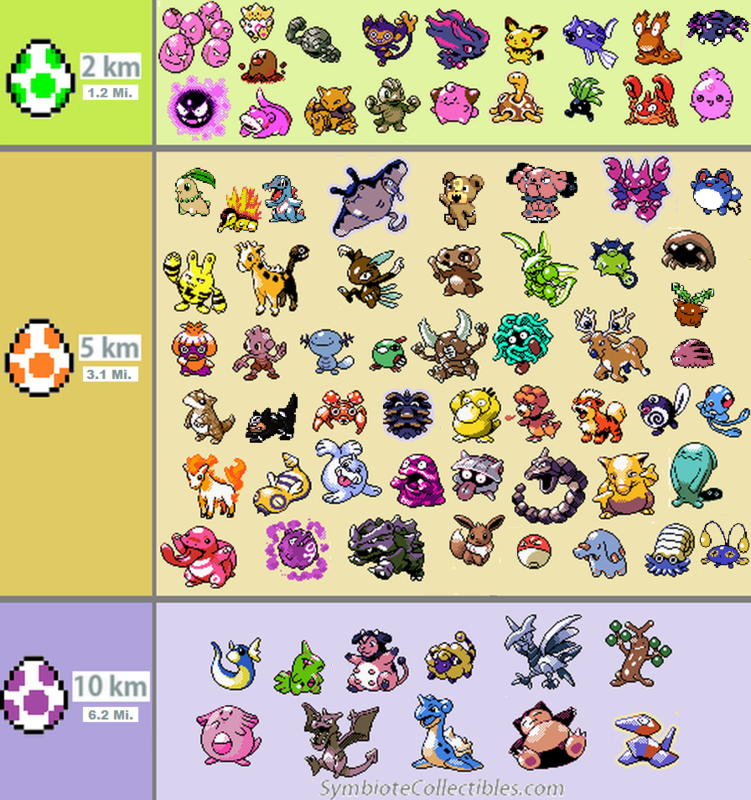 The chart below will let you get a idea of what your pokemon's IVs are. If you want to get even more accurate IV information simply follow the link. Raids are a newer addition to the game that allow you to battle more challenging supercharged Pokemon. If you are able to defeat the raid boss you get a chance to catch that Pokemon! Raid bosses are split into 5 categories tier 1,2,3,4, and 5 tier 1-3 are able to be defeated solo if you are a high level player 30+. You are able to battle with up to 20 other players and you are able to bring 6 of your Pokemon into battle. Having other people is necessary to defeat the higher tier raid bosses like 4 and 5 which tier 5 is legendary Pokemon! Local Reading PA Pokemon GO Groups! If you live in the Reading/Berks county area here are a few groups you may want to join to be in the local know about Pokemon Go! For the most up to date and accurate information related to Pokémon Go, check out Trainer Tips for great videos every day! We sent Nick from Trainer Tips a Go Box! Definitely check out his channel if you haven't already. Not a sponsor I'm just a fan.